The Methodist Equipment Loan Program currently operates out of Nebraska Methodist College, where students in the Occupational Therapy program facilitate equipment rental logistics. Equipment is rented to patients at no cost, but monetary donations are accepted. Monetary donations are used to repair and sanitize used equipment and purchase additional equipment to meet patient needs. April is Occupational Therapy Month, and a donation drive is underway. The program is in need of wheelchairs, transport chairs, power scooters, knee scooters, bariatric equipment accomodating 300-plus pounds, power wheelchairs and any other durable medical equipment. 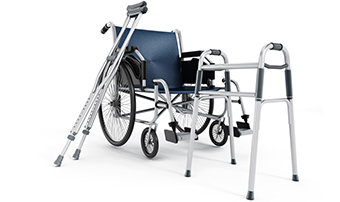 If you or someone you know has medical equipment no longer in use, please consider contacting the Methodist Equipment Loan Program to make an appointment to donate. For more information on the Methodist Equipment Loan Program, please contact (402) 807-3062 or methodistloanprogram@nmhs.org.